The NYPD Red series of novels, written by James Patterson & Marshall Karp, is a crime thriller series about a special task force within the New York Police Department that is a response team dedicated to high-profile victims (celebrities, big time businessmen, the rich and the famous). This task force is known as NYPD Red. NYPD Red is the first book in the series sees the Mayor of New York trying to bring a piece of the Hollywood film industry into New York with his Hollywood on Hudson week. This is going to be a difficult week for the detectives as along with the film stars, directors and producers it also brings out a serial killer. The Chameleon is a struggling actor who has and hundreds of parts as an extra but has never hit the big time. He has now written his own script and wants to play it out at the Hollywood on Hudson festival. The only problems being he won’t be using a camera and people are going to die. He starts his murdering spree by poisoning a prominent Hollywood film director, followed by having a famous actor shot and then firebombing a bad boy Hollywood star. This is just the beginning, building up to his finale that the New York, Hollywood and the world will never forget. 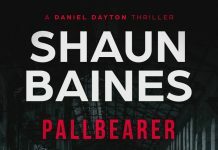 Detective Zach Jordan and his new partner Kylie MacDonald (also his ex-girlfriend who he still hasn’t got completely over) are tasked with tracking and stopping this serial killer before he can reach the final and deadly conclusion to his script that will have a much larger body count. Their target is a very intelligent master of disguise and seems to be able to outsmart the detectives at every turn. 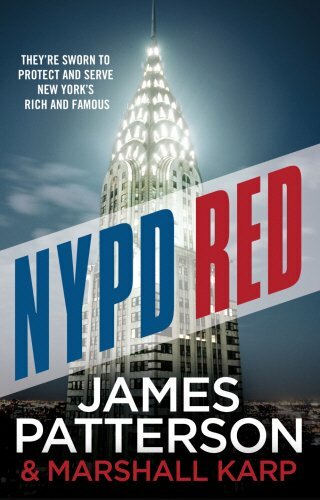 Overall, I am a big fan of James Patterson and loved NYPD Red. It is a fast paced, action packed thriller with lots of twists and full of suspense. I found it to be an absolutely thrilling read, if at times slightly unbelievable and everything coming together too neatly. It was very engrossing that and the short chapters make it very fast reading (a common theme within James Patterson novels). A very highly entertaining novel that delivers plenty of thrills. It is packed full of action and strong characters. NYPD Red is well written and a compelling read, as they say “a real page turner”. If you have never read any of James Patterson before I highly recommend starting with this, if you are already a fan you will not be disappointed. I am now off to read NYPD Red #2.